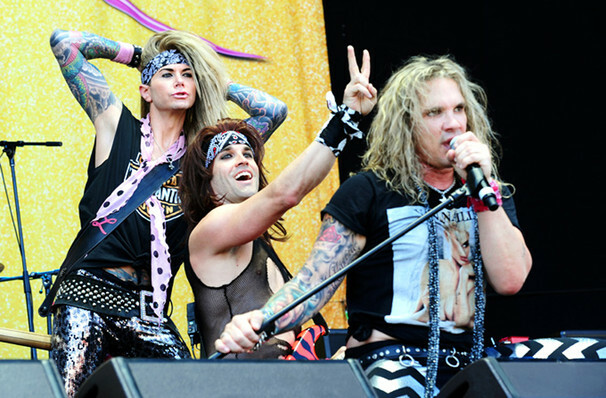 Steel Panther have taken their parody of 80s glam metal to a whole new level. Through their undying commitment to sleazy lyrics, skin-tight leather, and genuine musical chops, the LA band have now reached the same level of fame as a lot of the groups they're aping. They've headlined Wembley and have toured with the likes of Judas Priest and Guns N' Roses. This year sees the band head out across North America with some of their biggest original songs, including metal hits from the 80s and their trademark delivery of comedy and high energy. It's going to be the party of your lifetime! Seen Steel Panther? Loved it? Hated it? Help your fellow Raleigh Theater visitors by leaving the first review! Sound good to you? Share this page on social media and let your friends know about Steel Panther at The Ritz. Please note: The term The Ritz and/or Steel Panther as well as all associated graphics, logos, and/or other trademarks, tradenames or copyrights are the property of the The Ritz and/or Steel Panther and are used herein for factual descriptive purposes only. 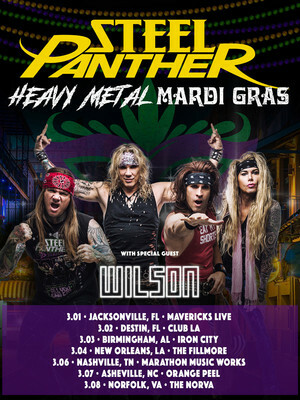 We are in no way associated with or authorized by the The Ritz and/or Steel Panther and neither that entity nor any of its affiliates have licensed or endorsed us to sell tickets, goods and or services in conjunction with their events. Raleigh Theater is part of the Theatreland Ltd Collection. Established in 2003, Theatreland offers the largest individual collection of websites providing complete, impartial guides to all the theatrical, musical and performance arts events and venues in the world's greatest theatre cities, from New York's Broadway to London's West End and from the showrooms of Las Vegas to Shakespeare's Globe Theatre.